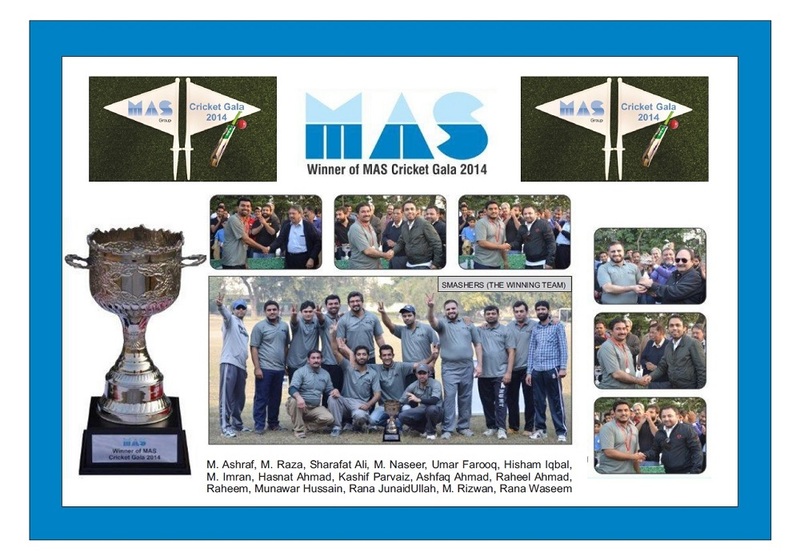 An exciting one-day sports activity was arranged by the MAS for all employees based at Lahore on 29th November 2014 at the Nawab cricket ground, Model town Lahore In an effort to uphold the balanced work-life and positive engagement with in all members of MAS Family. The in-house cricket tournament followed by recognition for winning team and sumptuous food were few of the highlighted features of the away day. The core objective was to encourage the energy-built and healthy competition between peers and fellow colleagues and to rejuvenate in them the true spirit of teamwork, challenge and determination to win. The crunch part of the tournament was the final over of the match with 18 to score on the last ball. The consecutive sixes from the batsman of the winning team snatched the trophy from the expected to-be winners. The winner and runner up trophies along with the medals to the winning side were awarded by the honorable Director Mr. Tahir Azam.